Fifth part of a transcribed serial article published in the Southern Star, Ozark, Ala., beginning May 10, 1899. Away up in the state famous for turpentine, persimmons, and hardy manhood, lived James Carroll, a pioneer and revolutionary patriot. He was possessed of a goodly share of this world’s goods including a number of noble sons and pretty daughters who inherited the sterling characteristics of their honored father. Among these were Major James Carroll, Reuben Carroll, John Carroll, Sallie, wife of Levi Stephens and Rebecca, the wife of Daniel Johnson. In those days schools were not over abundant nor the standard of education too high, but James Carroll managed to give his children the best advantages offered at that time in Samson county, N. C. and that, added to what the country commonly recognizes as good horse sense, made them most worthy and exemplary citizens. In 1828, Major James Carroll and his brother John came to old Richmond in what was then Henry county where the latter made one crop. 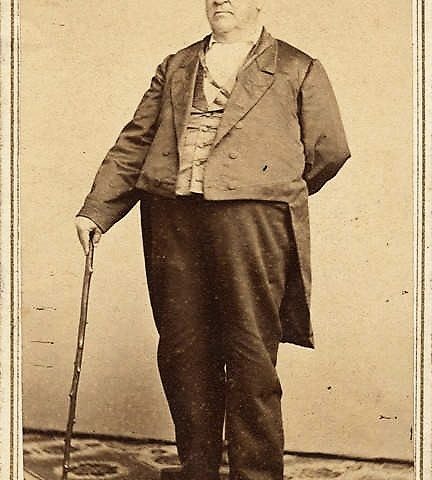 Major James Carroll decided to “team it” that year between Clayton and Montgomery, Fulton not having yet dreamed of a steamboat, and a man who mentioned the railroad would have been considered mad. It was while thus engaged that the athletic young North Carolinian first distinguished himself in this state. A cannon lay at the warehouse in Montgomery which was looked upon as a sort of Waterloo to the manhood of that age because nearly every one tried to raise it on end and all as usual failed to do it. On one of young Carrolls visits the big gun was raised on end to the surprise of the warehouseman and was asked when he would make his next trip. When he returned found fully a hundred men present to see him lift the big gun. “Well gentlemen”, just to gratify your curiosity I will show you how it is done” and then he turned it up apparently with ease. 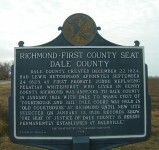 That winter the two brothers returned to the old north State where John Carroll remained until 1830 when he returned to the Fitch place at Clay’s Hill in Pike county. He raised a large family-eight sons and four daughters- and died. 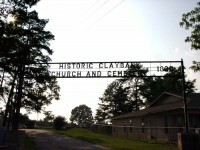 In 1833 David and Reuben Carroll and Johnson Godwin came out to Alabama and stopped near Clay’s Hill until July and then removed to the neighborhood of Ozark, Reuben buying out the Redding Byrd homestead and David that of Burtis Byrd. 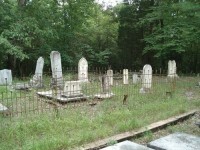 In 1836 James Carroll, Sr., died at the old homestead and was laid to rest amid the hills of his native State, leaving his widow and their children to mourn his loss. Disconsolate and lonely the old North State no longer seemed like home to Mrs. Carroll and in December following she left in company with Major James Carroll, Jr., and his wife; Levi Stephens-and his wife, Sallie, and her unmarried daughter Rebecca, who afterwards became the wife of Daniel Johnson, landing in Dale county, January 3, 1837. Major James Carroll, Jr., settled a place on Panther Creek two miles east of Ozark on the Skipperville road, opened land and commenced farming, He had laid the foundation for his fortune amid the scenes of his childhood and brought with him to the new world a handsome amount of this world’s goods. In 1840 he decided to enlarge his borders, and established a mercantile business and built a cotton gin at the place a mile above Ozark, afterwards owned by W. E. Matthews. About that time he was elected Major of the county Militia, a position he held with credit to himself and honor to the cause he represented. His ventures proved successful beyond his expectations and he became known as a rich man. He bought negroes and increased the size of his plantation. Finally, he decided to seek richer lands where the yield would be greater and he settled two miles further up the road towards Skipperville where he built an elegant home and completed the raising of his large family. 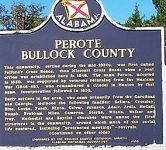 He reared five sons—Debro, James H., Pharoah, Cader and Major—and four daughters, Susan, wife of David Byrd; Penny, wife of Isaac Byrd; Sarah, wife of H. Z. Parker, and Eliza, wife of Jesephus Turlington. When they grew up to young womanhood they were considered very beautiful and had many suitors. David Carroll was thrice married the first time to Mary, daughter of Lazarus Matthews in North Carolina in 1819. By this marriage, they raised seven children. Easter, wife of Amos Johnson. Ridley died at the age of 67, unmarried; Jessie, Willis, Rhoda, who died at 18, unmarried; Solomon and John. His second wife was Margaret, daughter of John Matthews and by her raised Gilley, who married Polk Ketchum; Noah, David, Jr., Margaret, wife of John Arnold, and Beady, wife of J. H. Weeks. The third and last wife of David Carroll was Martha E., daughter of Jesse and Sarah Johnson by whom he raised William, Yancy, and Rebecca, wife of George Hughes. The Carroll generation in this country sprang from a hardy stock, one of the staunchest pioneer families of North Carolina, and the scions transplanted seemed to take kindly to the soil and climate of their new home. The command to multiply and replenish the earth has not been forgotten and the earlier settlers have left a large and noble posterity to bless the lands of their adopted home. They are among the best citizens of the county, industrious, frugal, firm in integrity of character and reliable in every relation of life. Of the several sons of Major James Carroll only one survives, (1899) Major Carroll, Jr., the youngest and who lives in Ozark. He has amassed a handsome fortune in addition to his landed estates holds a block of Alabama Midland railroad stock and is one of its board of directors. His son, M. O. Carroll is one of the leading merchants of the town and a young man of bright promise. Of David Carroll’s sons much might be said of their progressiveness and the success they have made out of life. 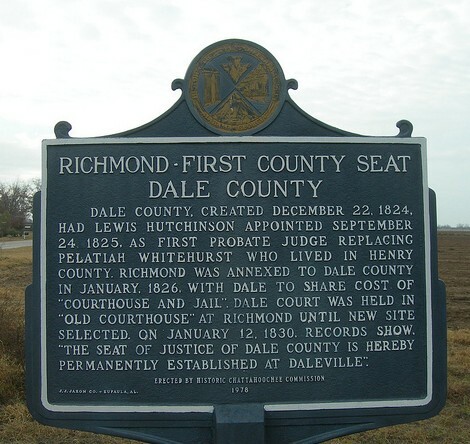 Willis and Noah have been honored by public trust, the first having been elected treasurer of this county in 1896 by a handsome majority an office he still fills with credit to himself and honor to his constituents. Noah is in charge of the county farm, a position he fills with satisfaction to the board of county commissioners and the people generally. John Carroll has never asked for office being content to occupy his own elegant home quietly and look after his private interests. Yancy Carroll is (1899) one of Dale’s most progressive farmers and in spite of four cent cotton is prospering. His handsome land holdings are well stocked with the best breeds, his barns are kept full of farm products and his name and credit are above reproach. L. P. Carroll, son of Willis Carroll is among Ozark’s shrewest (sic) businessmen, and the firm of Carroll & Casey is doing its share of the town’s business. Daniel Casey, his partner, divides time between the store and his farming interests, making a success of both. 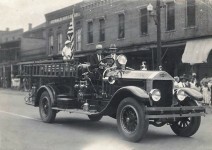 It is not out of place to tell a few things connected with the lives of John and Willis Carroll by which they made life worth living for the time and furnished fun for the boys many years after. When the war closed and the people resumed the duties of civil citizenship they returned to the old custom of hauling their produce to river points by wagon, for there were no railroads then. When Dowlin & Garner opened a business in 1870 at Ozark they had a six-horse wagon built and in 1876 Elisha Andrews was made teammaster. Other firms either owned or employed teams to make regular trips to the markets. Eufaula being the most patronized. 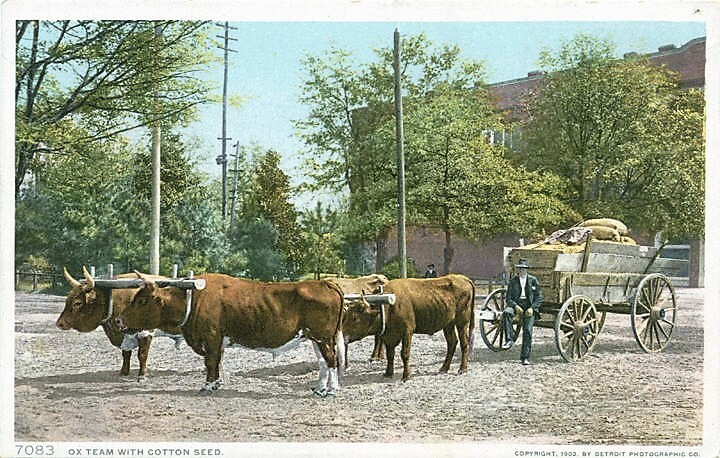 As the town grew larger and the demands of trade greater the wagon train to Eufaula grew larger. In the fall they carried up cotton and brought back goods and in the spring they brought back guano. The teamsters loading both ways charged a less freight rate than when they hauled only one way. It generally requiring about five days to make the trip with mules, and a little longer with oxen the time somewhat depending on the condition of the roads. The travel was so great that camp fires were seen every few miles on the road and teams were continually met going either way. 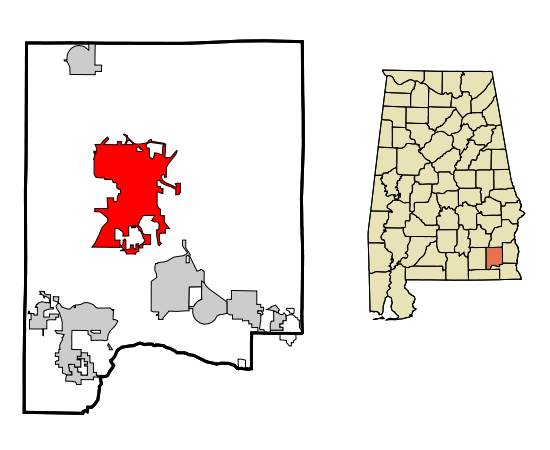 At the other end of the line Eufaula made ample provision to handle business so profusely thrown into her lap by the wiregrass belt, and she grew rich and strong. New warehouses were built, her banking facilities increased, new firms went into business and the old ones enlarged their facilities. A large number of men were employed to handle this immense trade, among whom were citizens of the surrounding counties whose trade the various firms hoped to handle. New hotels and restaurants were set up and other things done which go to make up the business of a live little city. 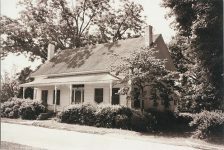 This may be called the golden period in the history of old Irwington, or Eufaula, and it was during this time that she amassed great wealth some of which remains to this day. It was great times then. People had plenty of money and were in good humor. Of all the jolly crews that paddled a wagon train between Ozark and Eufaula, John Carroll Willis Carroll and John F. Faulk were the boys. It was not infrequently that the merchants of Ozark would take a trip up with the wagon train by way of varying the program and incidently to attend to a little business. In 1875 John and Willis Carroll, William Faust and Dr. James Bottoms, went up together and decided to have supper at the hotel with Uncle “Billy” as their host. They registered in good shape and waited for the bell to ring. When supper was announced they were hungry as wolves and otherwise prepared for supper or anything else that might happen. They sat down and began to eat. Directly the little sample dishes were cleaned out and then they wanted supper. More was brought in. They ate that and among other things a lot of fine butter and still called for more. The landlord was nervous. He was going to get fifty cents apiece out of that crowd and they had already eaten more than that. They wanted more and it was brought. “Gentlemen, is mighty fine butter, it costs forty cents a pound”, said the Proprietor sadly as he saw it disappearing.” “Yes”, said Uncle Billy, “How much better it might have been if it had only cost eighty cents a pound, it is bully,” and the poor landlord as utterly helpless as he was disgusted, left the dining room. When the boys had finished they went in to settle. The proprietor wanted one dollar each. But they held him down and when he saw it was no use to kick against that good natured crowd who were out for a lark he accepted the usual fee and said no more. To tell all the interesting events of these golden days of good humor would require a book of itself and I will be content with leaving this subject for the present in the hands of those who still survive and who can call up many things over which to enjoy a hearty laugh. W. L. Andrews was my Daddy’s Uncle Barry Andrews. He wrote many stories about whites, blacks and Indians for tge Southern Star. I bet they were great stories. If you’d like to share some on Alabama Pioneers, email us at [email protected].